The following blog comes to us from Dennis Speath of Cutting Tools Engineering. 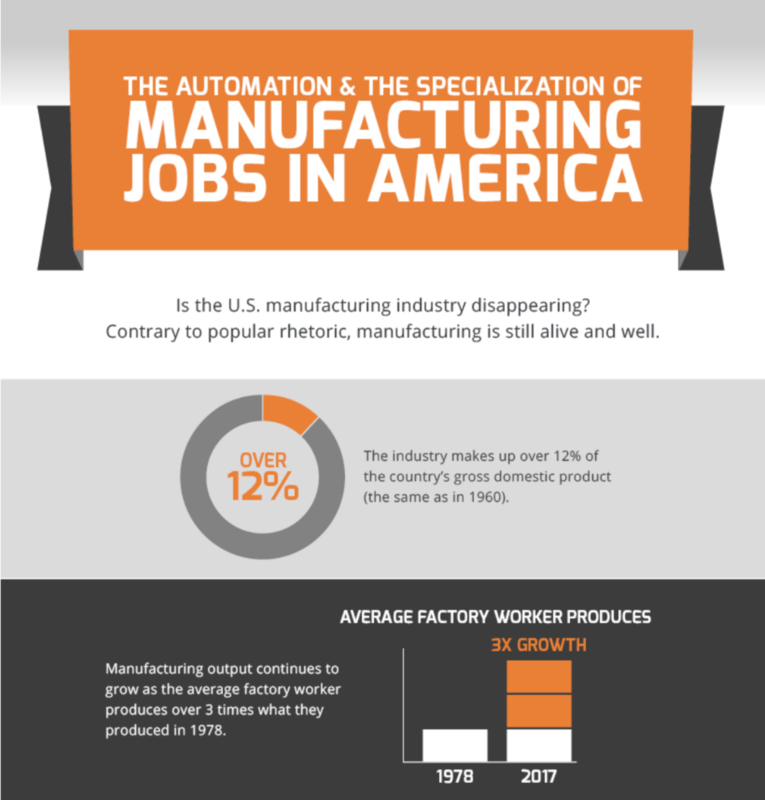 It’s no secret that America’s manufacturing industry is on the rise in more ways than one. Even though automation, offshoring, and other trends have caused about five million job losses throughout the past 10 years, the industry is quickly making a comeback. In fact, America’s manufacturing industry is currently producing about 12% of the country’s gross domestic product. 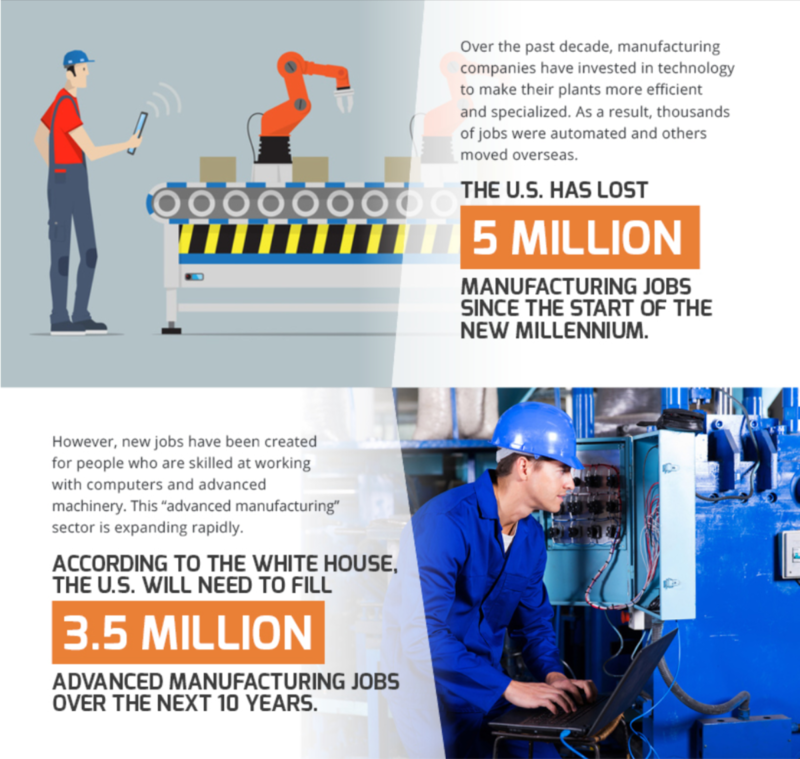 Manufacturing industry trends are continuing to evolve, though; many specialized jobs in the field require more technical training as well as a college degree. This is mainly a result of the many technological advancements the industry has seen. And by 2027, it’s estimated that the industry will add up to 3.5 million jobs to its workforce. These jobs require more in-depth experience with technical and advanced machinery, but they open countless doors to what’s possible within the realm of high-tech manufacturing. It’s even prompted companies to reshore operations to maintain the advancements in productivity and technology. As a result of these spectacular innovations within the American manufacturing industry, workers are earning more income from their jobs. In fact, some of the most specialized jobs within this industry sector pay up to $26 an hour. This advancement in technology will have a ripple effect on America’s entire social economy, paving the way for increased educational opportunities and underlying growth. This was far from the case half a century ago, when the majority of workers within the manufacturing industry had little or no college education. Currently, nearly 72% of the workers within the industry have a two year college degree, which brings the total percentage of workers with any type of higher education to 32%. Ultimately, the ‘reshoring movement’ that’s rapidly occurring within America’s manufacturing industry has countless benefits on companies as well as individuals within society. Now, virtually anyone can improve their quality of life through the growing opportunities available in the high-tech and high-paying manufacturing workforce. Dennis Spaeth, who served as electronic media editor at Cutting Tool Engineering, from January 2007 through May 2018, is now Publisher and Chief Executive Officer of the magazine and CTE Publications Inc. Dennis holds a bachelor’s degree in journalism from Northern Illinois University, and has more than 32 years of daily newspaper and trade journalism experience.